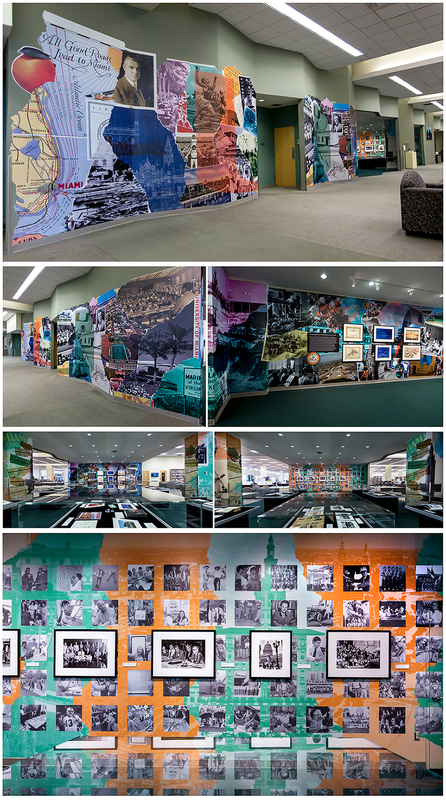 The University of Miami reached out to us to create a visual narrative of their history, for their 90 year anniversary exhibit in the main library. We were given full access to their photo archives, and created this “timeline” using some of our favorites. Since it was set in the Richter Library, we decided to give it the effect of torn paper, collaged and layered to reflect the history of the school. And for the adjacent wall we created a grid consisting of 90 photos of various people who have either attended or worked at UM, spanning the full 90 years. A “job” that was very close to our heart, we felt that our passion for this project really showed through. Extra special thanks to Dave and Javier at Miami Sign Shop for the intensive installation work, Jose Cabrera at UM for the amazing insight and enthusiasm, and Peter Vahan for the tricky photographic documentation, it’s all about the U…! 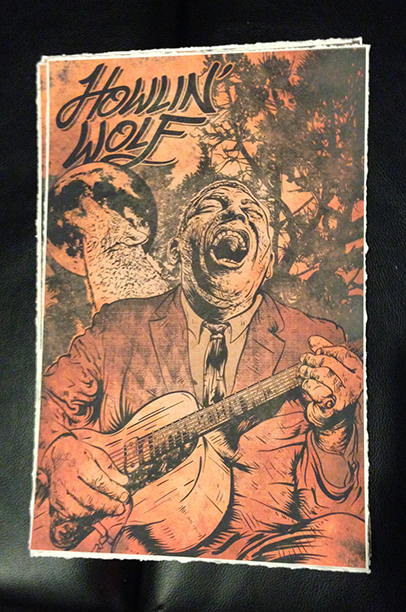 Tribute to one of the greatest Blues Rock musicians of all time, for the Backwoods art show at Kreepy Tiki Tattoo – in Fort Lauderdale, FL… Original illustration, hand drawn font, and ink-jet print, it was a team effort!